The below table reflects the costs of the average car service , however, car servicing prices depend on a number of variations such as the litre of the engine, the make and your location. All garages offer different checks in their service package so it’s always best to check the offer you might just get more bang for your buck. How much is a basic service and what does it include? A basic service costs are usually between £60 to £115 pounds depending on your location and litre of the engine, they can range right up to £160 depending on the model. A basic service usually includes around 30-45 checks depending on the garage. It includes a replacement of the oil filter and a top up of oil, as well as coolant, antifreeze and brake fluid top ups. They will checks include lights, wheel alignment check, tyres and wheel bearing checks, shock absorbers, brake pads and discs checks and a check on the exhaust system. Check out how much garages are charging in your area for a basic service just by typing in your reg. How much is a full service and what does it include? Full-Service costs are usually in the range of £109 to £175 pounds depending on your engine size and your location and if you require any additional parts or services carried out on your car. A full service usually includes around 70 checks on the important elements of your car including the exhaust system, suspension, engine, electrical checks, drive system checks, brakes and tyre checks, A full service also includes replacement of all major filters. Get accurate prices for you full service through MyCarNeedsA.com. How much is a major service and what is included? Major services range anywhere from £170 to £289, again this depends on the model and your location, the bigger the engine size the higher the cost. 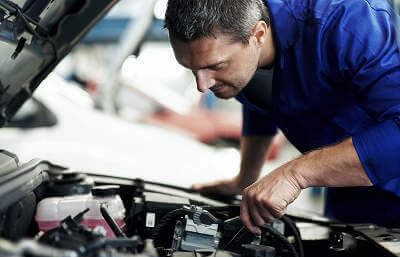 A major service includes 76+ checks on your vehicle and is the most comprehensive check any car can receive, it’s a check on all the major organs and components in the car including changing air, fuel and pollen filters and checks on the engine, electrical, timing belt, aux belts, suspension checks and many more. If your car needs major service prices you can get quotes today with MyCarNeedsA.com. Get exact quotes for your car service and choose from lots of garages in your area including dealers, independent garages and fast-fit chains. All you need to do is enter your reg into MyCarNeedsA.com and we’ll start gathering car servicing costs in minutes from approved garages. Get quotes with ease.